5 Reasons Why We Think Kinder Morgan’s Shares Will Collapse - Valuentum Securities Inc. The facts have changed at Kinder Morgan (KMI). We’re removing the company from the Dividend Growth portfolio right now! The entire position will be eliminated at $40 per share. What was once an optimistic view of the entity’s decision to de-risk by consolidating its disparate master-limited-partnership structure has now turned into fear that the firm’s equity may collapse. From its overpriced valuation to its restrictive debt load to its poor Dividend Cushion ratio that warns of tremendous risks to its dividend growth plans, Kinder Morgan may turn into one of the worst-performing companies this year and into 2016. We’re getting out…and in a hurry. Here are 5 reasons why we think Kinder Morgan's shares will collapse. KMI has traditionally been a corporate tied to master limited partnerships, but recent re-consolidation efforts, have pulled its former MLP subsidiaries into the KMI corporate umbrella. A look into its reported results, however, shows a presentation of financial information guiding investors to continue to evaluate the equity as if the substance of its business structure has not changed. Such presentation is wrong--corporations and MLPs are apples and oranges. KMI is no longer tied to the business models of MLPs, and therefore, data presentation and valuation adjustments consistent with MLP evaluation no longer apply. We don’t think the market is anywhere close to fully making this valuation adjustment, and this is worrisome. Here’s more background on what we’re talking about. There are a number of contractual reasons why the data is presented in such a way, but from a valuation standpoint, we’ve always taken an issue with the MLP universe being implicitly valued on a future distributable cash flow stream that “covers” the distribution than on future free operating cash flow, which is a better measure of the free operating cash flow that a business generates. The reason why free operating cash flow is more informative is quite straightforward. Distributable cash flow does not deduct the investment associated with driving future growth in an MLP’s cash flow from operations. Said differently, it’s like getting a free pass on all of the future growth spending that is required to drive incremental cash flow from operations, a severe imbalance in the valuation equation. 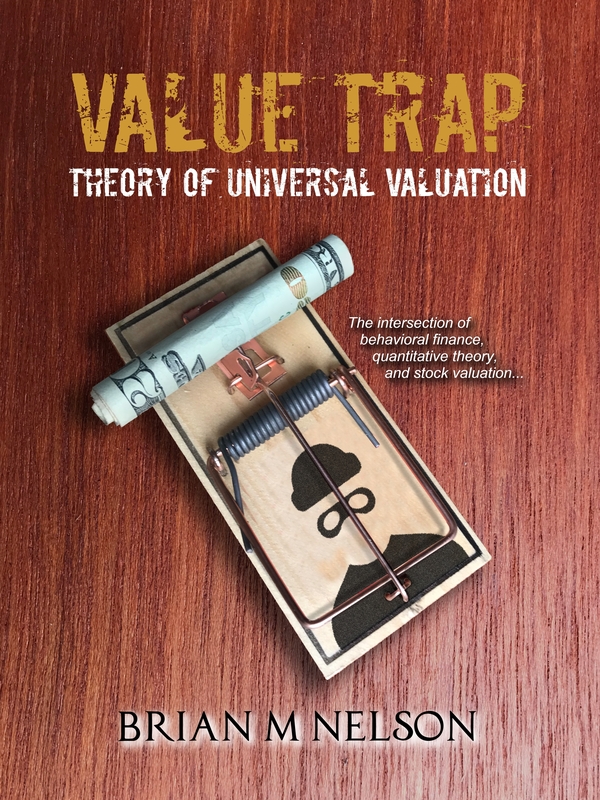 In valuing MLPs, we’ve circumvented the valuation imbalance by making the universal assumption that MLPs will continue to have access to the capital markets and that they will be able to issue equity and/or debt in such a way that is not value-destructive. Said differently, in our valuation models, we give MLPs credit for the future growth in cash flow from operations without deducting the growth capex that is required to drive it. We disclose this dynamic in every one of our 16-page reports within the MLP space. But Kinder Morgan is no longer tied to MLPs, and by extension, the company should be valued solely as a corporate. We’ve cut our fair value estimate of Kinder Morgan as a result! The measure of distributable cash flow at Kinder Morgan is now a legacy of its business operations and should not be used anymore. Kinder Morgan’s free operating cash flow, as measured by cash flow from operations less capital expenditures, was $850 million, $753 million, and $786 million in 2014, 2013, and 2012, respectively. Cash dividends paid, and this excludes distributions to non-controlling interests, were $1.76 billion, $1.62 billion and $1.18 billion for those same years, respectively. Kinder Morgan cannot cover its dividend with free cash flow generation! It’s not a matter of opinion, but a matter of looking at the facts behind the numbers. In order to meet its dividend growth targets, Kinder Morgan will have to run to the equity or debt markets, and such moves will surely dilute existing shareholders. We wouldn’t be surprised to see Kinder Morgan raise equity in the next 12 months after reading this very report. If it is not successful in raising capital, its dividend growth plans will be scrapped, and the current dividend payout may also be put at risk. Kinder Morgan’s leverage is downright scary. Debt, net of cash was $42.8 billion in the first quarter of 2015, up from $40.6 billion in the first quarter of 2014. The company’s Debt-to-EBITDA ratio stood at 5.8 times, up from 5.5 times in last year’s quarter. This is junk territory, in our view, but the company is rated investment-grade by the credit rating agencies. 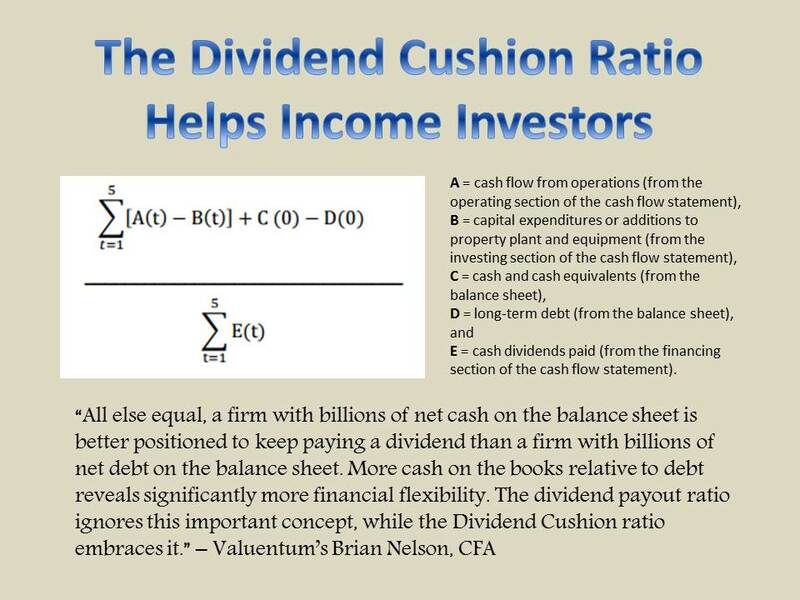 The firm’s Dividend Cushion ratio is less than 1. The company is not generating organic free operating cash flow (after dividend payments), and it had just $315 million in cash on the balance sheet at last check. We’re going to see something really bad happen to Kinder Morgan shareholders very soon, in our opinion. We’re not sticking around to find out how bad. Earnings now matter for Kinder Morgan, as the investment community can no longer wave its hands and only look at the entity’s distributable cash flow. The company’s business model has fundamentally changed, and it should be valued in the same way as any other corporate. In the first quarter of 2015, Kinder Morgan generated $0.22 in earnings per share, and consensus forecasts put fiscal year 2015 earnings close to $0.90 per share at the high end (and close to $1 in fiscal 2016). Kinder Morgan is trading at ~$40 per share. That’s 40 times earnings for a company whose revenue and operating income fell during the first quarter of 2015 on a year-over-year basis. That’s 40 times for a company, whose shares are being propped up by a dividend yield that is not sustainable. That’s 40 times earnings period! The company’s market valuation makes little sense. Kinder Morgan’s shareholders, which have benefited from one of the strongest energy markets the past few decades, may be extremely skeptical and not believe the numbers we’ve put forth in this report. They may not surrender their shares until it’s too late, muting the share-price impact in the near term. They have put their faith in Rich Kinder. But Rich Kinder has relinquished the CEO role!!! As we mentioned when we first received news of the re-consolidation, something isn’t quite right when entities go up on news that they’re creating an MLP and up on news that they're re-consolidating their MLP structure or dissolving an MLP. If one is good, the other can’t also be good. Kinder Morgan significantly overpaid for its very own assets. The company is heading for a big fall, in our opinion. We’re out.